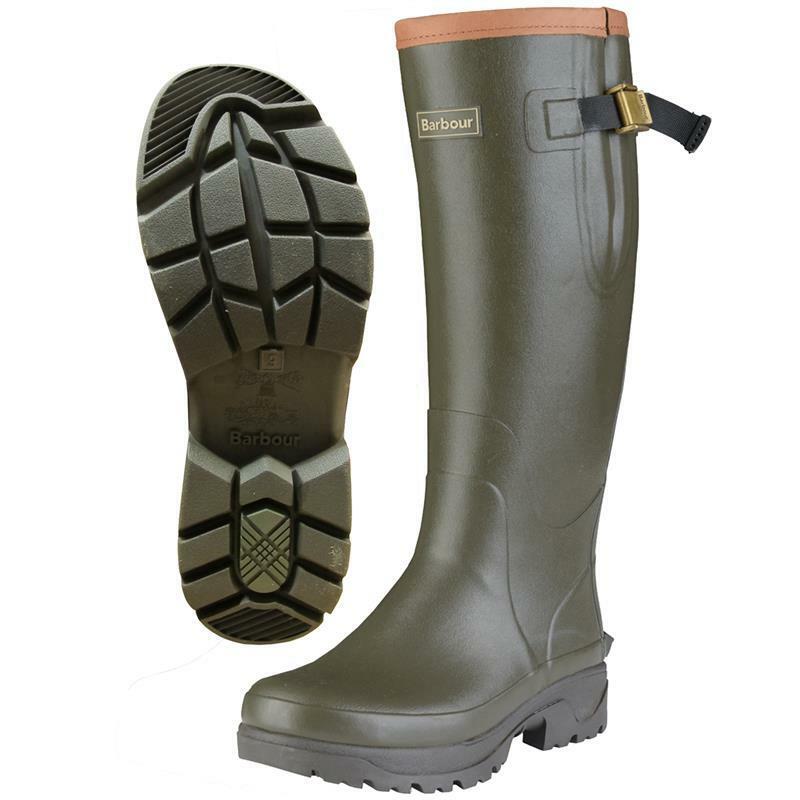 Barbour Tempest Wellington Boots - Olive. The Barbour Tempest wellingtons feature a warm neoprene lining for superb insulation and extra cushioning. This tough boot is made with a vulcanised rubber upper, a rubber outsole and an adjustable leg strap for enhanced comfort and finished with Barbour's signature classic tartan lining and a Barbour badge on the front.